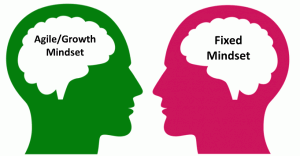 I’ve created a new activity to validate the learning and the mindset (fixed vs. Agile). I am looking for a community input to improve this activity, all suggestion are welcome! please visit the following website and drag and drop each statement into the appropriate section. Simplistic, but you got the values correct. There would need to be significant discussion around the value of the listed points in order to turn this into a good retrospective activity. I like the game it is simple. Thanks for sharing with us this great game. Great but simple games. I believe that the players have to choose their approach for each type of action (for example: they have to choose one between “Learn by thinking” or “Learn by doing”). Based on that one, we can have proper training for proper person. Is that correct?